I always believe that we all inherit a lot of things from our mothers be it beauty, nature or style. Similarly to that we also tend to fall for the brands they use, and this is how I have been passed down 'love & loyalty' towards Lakme! I have seen my mom using this brand since ages & how she refuses to replace it with any other, for its sheer affordability & quality. 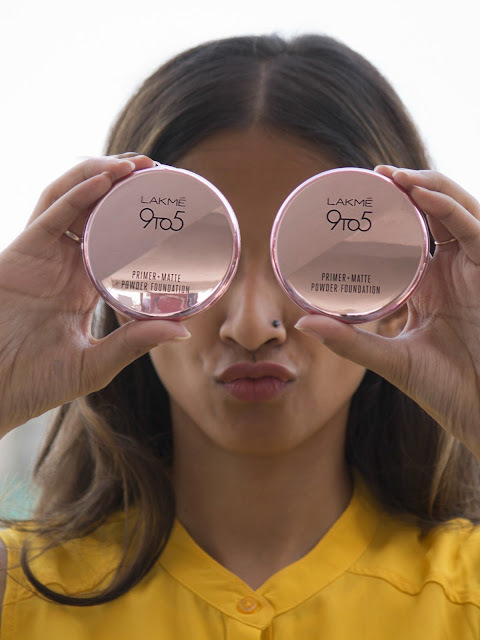 While I have been stocking certain Lakme products dedicatedly in my vanity since the time I've started using makeup, when I got to know about their latest '9 to 5 Primer + Matte Powder Foundation' launch, I knew I had to try these out too. 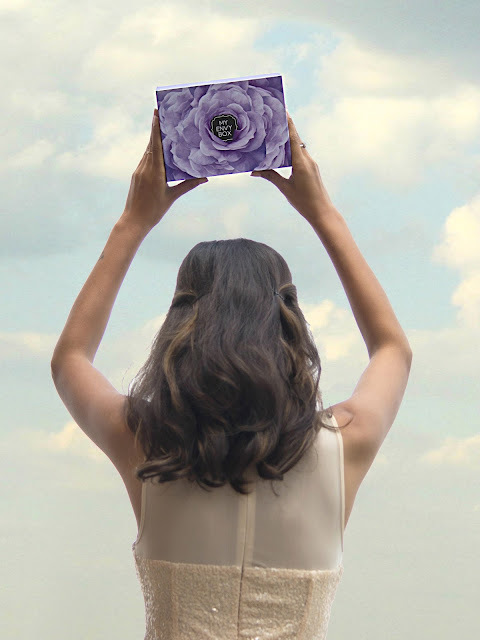 Packaging: Beautifully packed, the rose gold compact comes with a mirror & a puff, where a separate bottom section with perfect ventilation is provided to place the puff, to keep bacteria at bay! Back again with a new box of surprises! Unlike last time this box not only contained skincare products but also had a beauty product, which quite obviously upped my excitement to receive it. My Envy Box unveiled this edition with the tagline #CelebratingBeauty, so lets check out how well do they succeed i doing that. Pricing: 850 INR for 1-month subscription Packaging: My Envy Box August edition came in an ethereal Lavender box with floral pattern. Surprisingly, the products perfectly complimented with the delicateness & beauty of the pattern! Though despite being safely packed, one of the products that I received was damaged, but somehow I fixed it. I have often seen influencers looking down upon 'basics', citing this style to be very mundane & one can do nothing to make it look fancy! But I don't agree with it because somehow you ought to sport it on regular basis because you obviously cannot dress up all the time, for no reason. I took the most used & abused basic outfit combination of a tee with a pair of denims and made it look sartorially savvy by opting for flared chambray pants. Like we all know that chambray gives the perfect illusion of denims while be light as a feather, and that's what we need during summers as well as during unpredictable rains.